The Sony VPL-SX236 features 3300 ansi lumens with native XGA resolution (1024 x 768 pixels, 4:3 aspect ratio) and LCD display technology for colour accurate images. 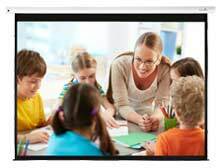 Extensive connectivity including Dual HDMI and VGA inputs as well as an RJ45 for either networked presentations or for remote monitoring of the projector. 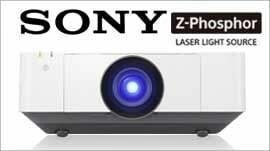 The Sony VPL-SX236 is a truly versatile projector and a great choice for either corporate or educational use. Here at ProjectorPoint We are an accredited Sony Professional Specialist Partner so you can rest assured that when purchasing a Sony projector from us you will receive the very highest level of pre and post sales support and advice should you require it. VPL-SX236 is a colourful and bright projector. Thanks to the 3LCD Sony 'BrightEra', the picture is colourful and the images are bright. And it also has vivid 2,800 lumen with XGA resolution. These specs are best for a classroom environment. It's easier for all of the students to see with this big screen size.